So yesterday when looking at my stats for the Stories Of You Podcast – I noticed that my downloads had gone up quite substantially. Well for me anyway. I’m now at 544 (at the time of writing this post. 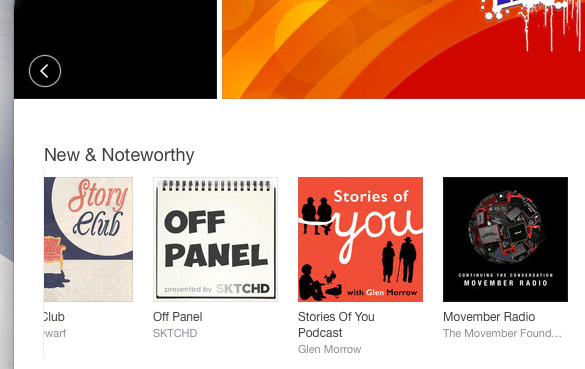 Then, upon looking in the iTunes store, I noticed my show had been featured in the New & Noteworthy section. So I’m feeling quite chuffed about the whole thing really. Its quite an achievement for me. Especially given that I really didn’t have any expectations for the show other than to have fun and make something that I hope people like to listen to. Anyway <end of self promotion>.